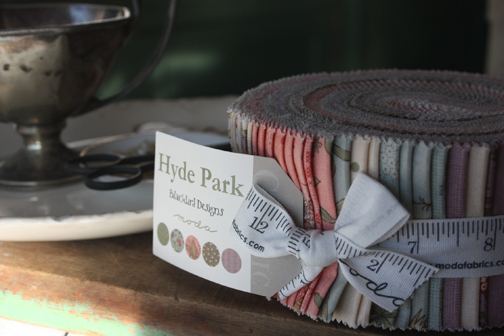 Hyde Park, our newest fabric line with Moda Fabrics, is on it's way to your local quilt shop! Every time we do a fabric line I find some favorites. 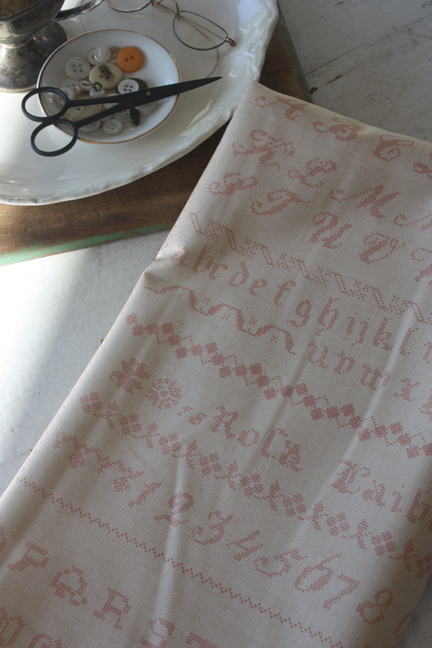 These sweet cross stitch borders are arranged on this print as a stripe. 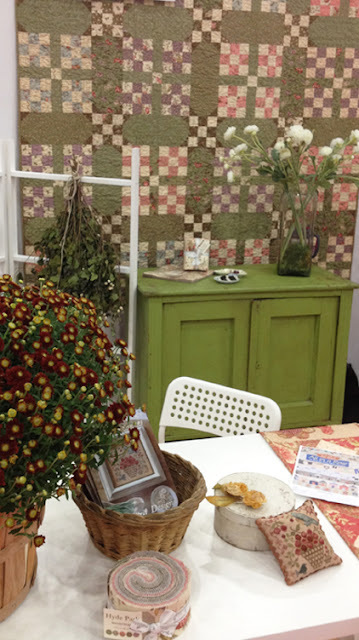 It's so reminiscent of those antique samplers we love. 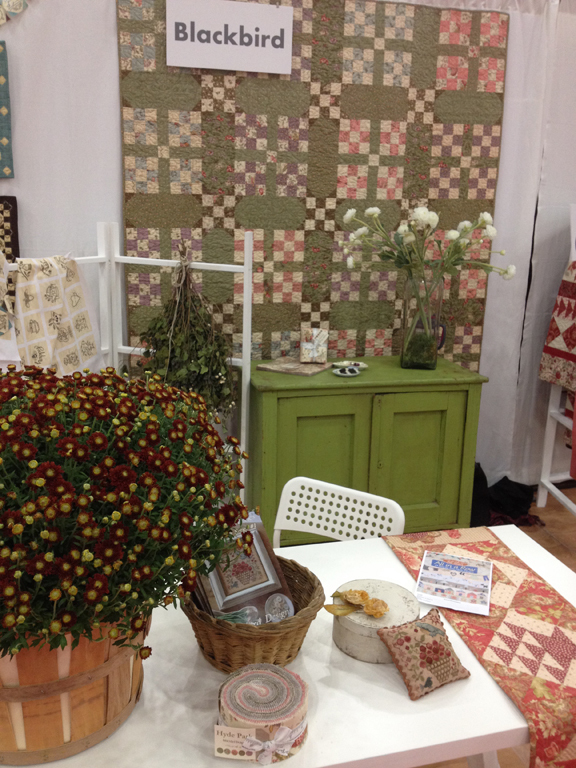 Barb and I got together and made this quilt from our Hyde Park fabric line right before quilt market. It only takes 2 jelly rolls, 1/2 yd. each of three green prints and 1 1/4 yd. of another green print which is used for the binding. 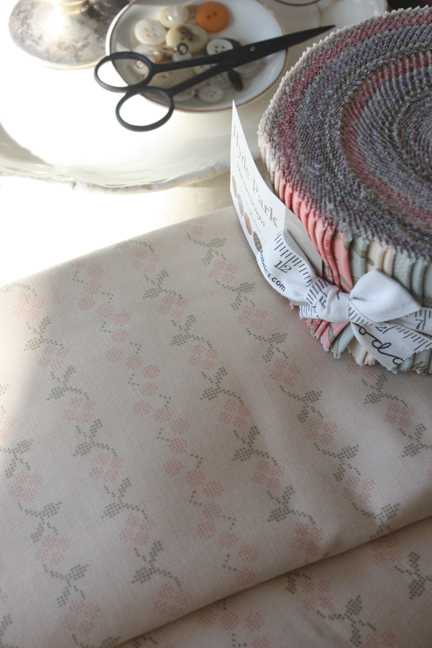 The diagonal pattern movement of this scrappy quilt really captures your eye! The pattern is so easy and quick to sew, just 16 blocks plus the sashing. Look here, on the blog for the pattern this weekend. Oh, this fabric line looks so special - delicious!! 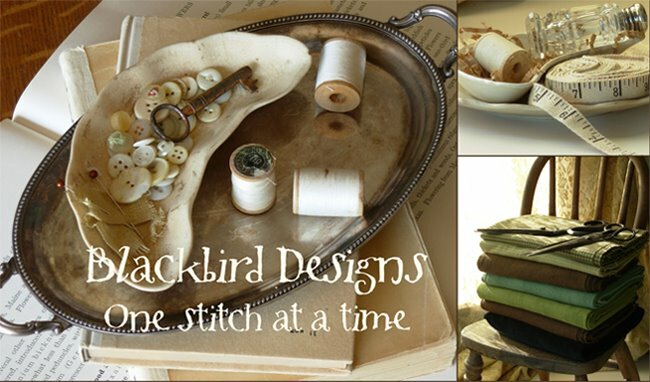 Beautiful collection can't wait to see all your new patterns! Gorgeous colors. And love the sampler print. So great you include those in your lines! Your new Hyde Park line is just lovely! Love the blues, love the lavenders, love it all! I'll be sure to check back for the pattern - how thoughtful of you! Many thanks. I just love the fabric with the cross stitch design!!! Thank you so much for the information about the pattern, I am so looking forward to making this. Love Hyde Park. This flower print is so cute. I can't find such cute fabrics in my city. Maybe you can advice me some online shops? Thank you for sharing your article. I love to read it.